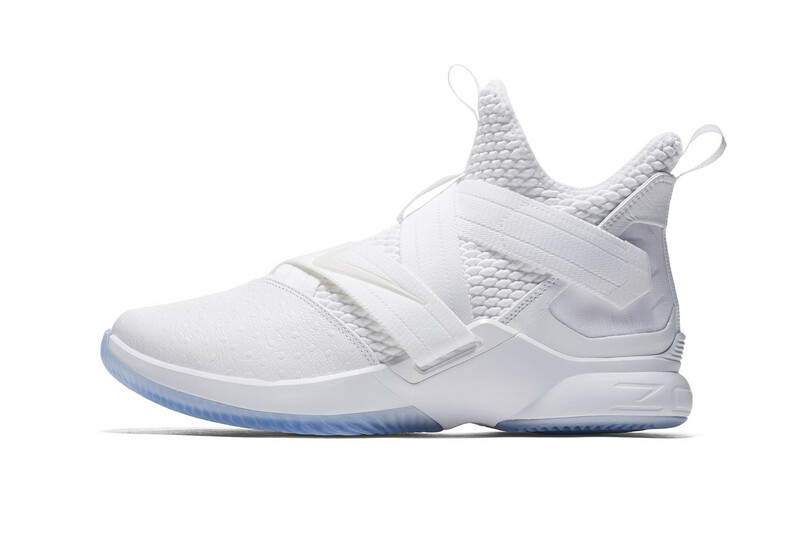 Nike LeBron Soldier 12 to Release in "Triple White"
The Nike court model will have an all-over white overhaul across its Zoom midsole, Battleknit upper and functional cross-strap system. The silhouette features a slip-on bootie ankle, minimal paneling and premium leather overlays. Swoosh and Nike branding is kept tonal while an icy outsole gives some subtle contrast to the crisp colorway.